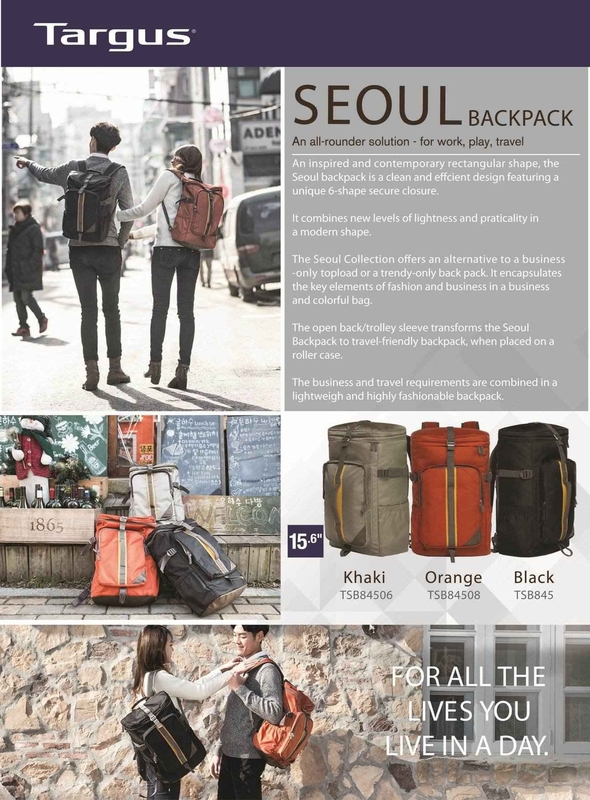 Allying aesthetics and functionality, the Targus 15.6” Seoul backpack is part of your Daily wear, before, during and after work. Inspired by the latest trends, the Seoul backpack showcases a clean and streamline design featuring a unique 6-shape secure closure. With soft-touch nylon dobby material with water resistance finish, it brings new levels of lightness and practicality. 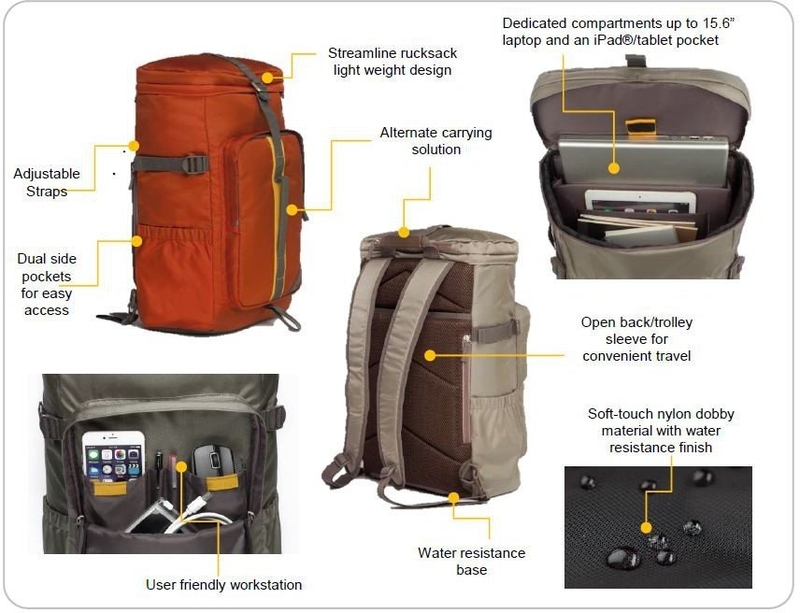 The spacious main compartment features a dedicated up to 15.6” laptop and an iPad/tablet pocket with a Velcro closure, along with plenty of space for files, folders and other printed material. The zippered front workstation pocket is designed to accommodate up to two smartphones and a couple of pens. Quick-grab items can be stored in the zippered pocket on the top flap, while more precious items can be secured in the zippered pocket on the back panel for added security. Umbrellas, water bottles and other smaller items can be easily accessed at the dual side pockets. Other features include a water-resistant base for added protection, adjustable side straps for a better fit and fabric zippers for a soft touch.